Hi, everyone! 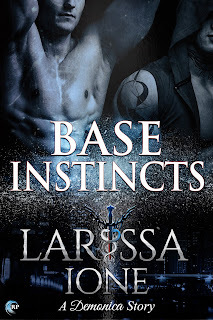 I'm so excited to be on the Base Instincts blog tour. Raze and Slake's story was a labor of love for me, and while theirs isn't the first m/m story I've written, it's a first for the Demonica/Lords of Deliverance series. 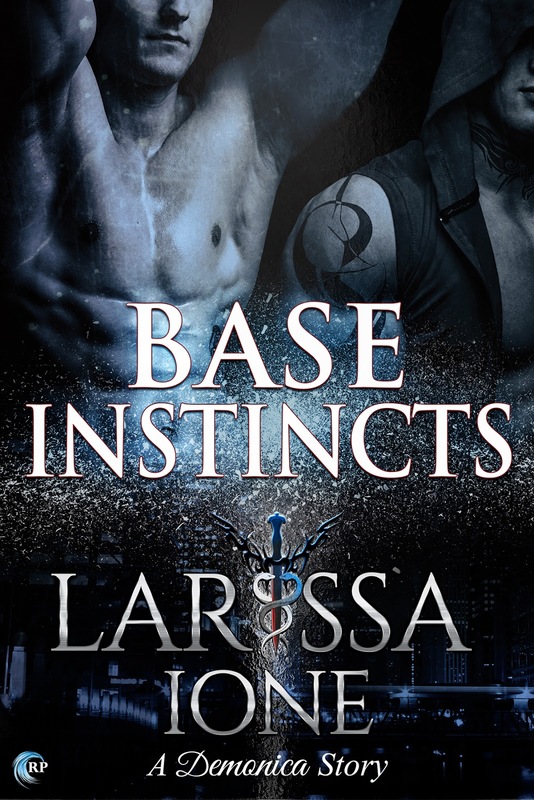 If you're curious about how it all started, be sure to enter the giveaway for a chance to win the first two books set in the Demonica/LOD universe, and for more information, head on over to www.LarissaIone.com!